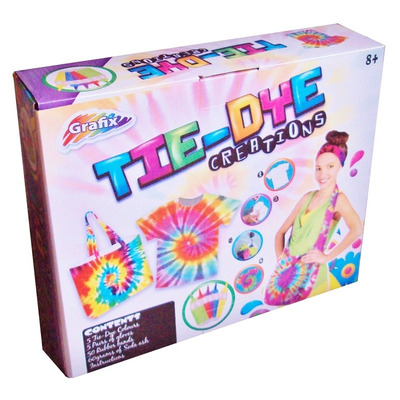 A creative kit for children to learn how to tie dye fabric. Contents include all the materials needed to create colourful patterns on their own clothes, bags and more. With the instructions provided, 5 bottles of dye, gloves, bands and soda ash, this kit is suitable for children over 8 years old. Adult Supervision will be needed at all times.